Don't forget to look at our photographs of our amazing trip to London. Mrs Lancaster and Ms Keating. Mrs Naylor will be teaching on Wednesdays and Mrs O'Donovan and Mrs Thornton will be teaching RE and Music one session a week. 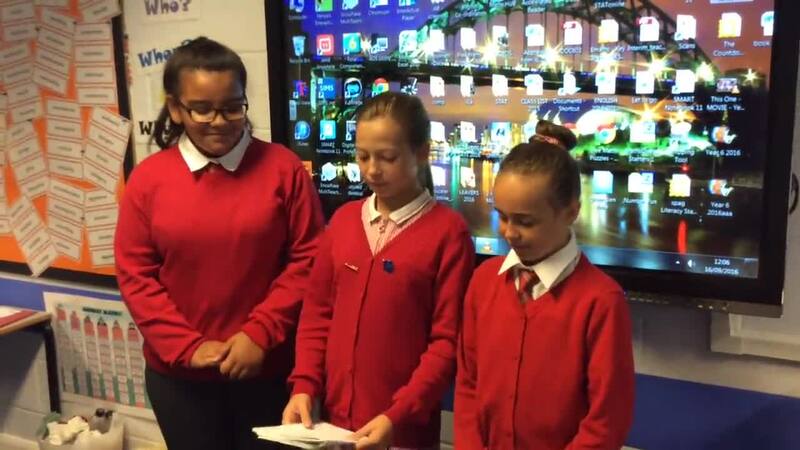 We aim to share work, photographs and news with you throughout the school year. Please keep checking in for updates! 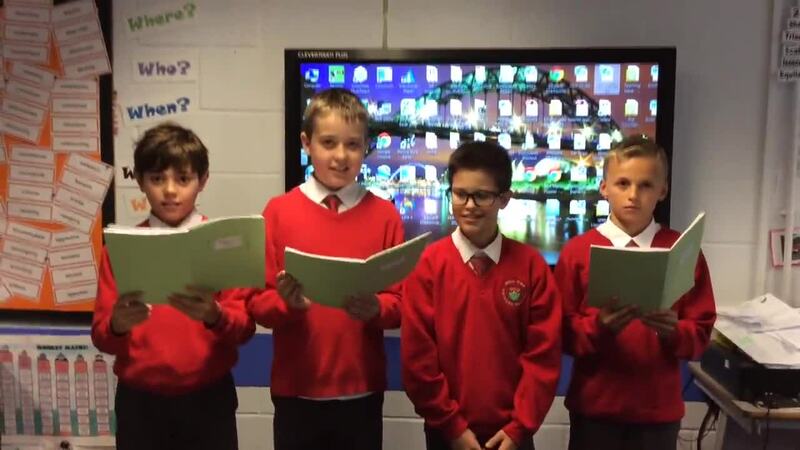 Homework will be set weekly and will be shown on the Learning Platform as soon as possible. English and topic work will be set on Fridays; but may change based on the type of task given. Children will record in their planners when it is due in. 100 word spelling list is now in the back of your planners. During each week, please spend a little bit of time learning the spellings of some of the words. 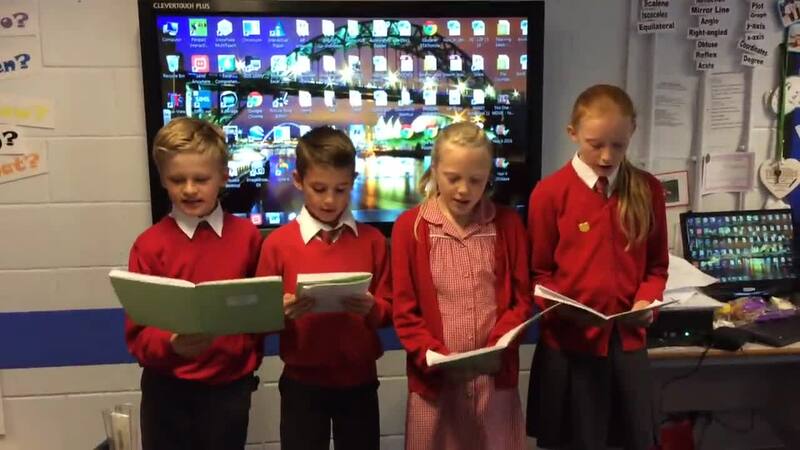 At Hill Top we expect children to read at least three times a week at home. Please support this by encouraging your child to do this and sign their reading record book each time. Summer 2: What Price Progress? School Hall 2.45-3.10pm everyone welcome. Today we have been using a program called "Scratch" to write some code to produce a quiz on Biomes! We love to use technology in the classroom but it doesn't always cooperate! The children have worked really hard on their quiz and I am proud of their cooperation and patience today. Well done! We hope to show you them during our exit point after the holidays, watch this space for more information. What a Wonderful World! Rock survey: What are the most common types of rock in our local area? We carried out a rock survey of the school grounds; sketching and photographing the rocks we found. Maths: Miss Mountain a Year 7 Maths teacher from Woodkirk has been teaching us Algebra. We have developed our skills through lots of practical games and activities. On Friday we created graffiti revision exploring Maths. The Big Idea: Natural forces have been shaping our planet for billions of years and these dramatic changes are still going on right now all around us. Throughout this unit we will be learning more about the physical processes that shape our planet-and the vital role that we play in safeguarding our planet and it's resources for future generations. Our Entry task was to design a calendar based on the theme of "What a Wonderful World". We worked in a group to design and produce our calendars. A great afternoon was spent with our parents and grandparents making Ancient Roman mosaics - not sure who had the most fun! The children were set the challenge of creating models of different historic monuments. We designed and created a Mars buggy. We had to think about the surface friction, the function of the buggy and the gravity on Mars when designing. Our designs changed as we encountered problems in making it. Why might humans need to move in Mars to live? How could humans survive on Mars? We watched The Martian and learnt many things about Mars. It was very nerve-racking and thrilling film throughout. 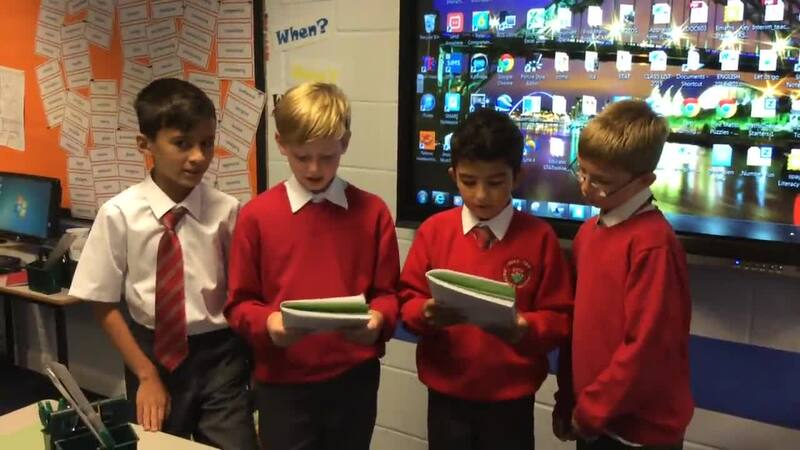 We wrote a film review sharing our opinions of the film. 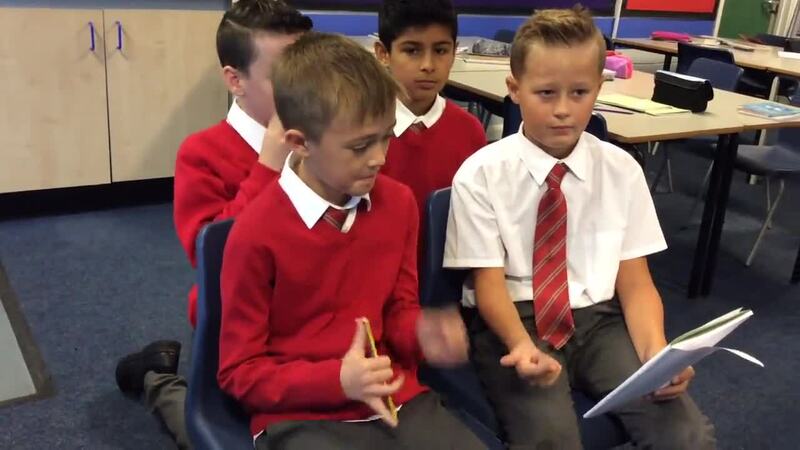 We wrote a song in groups showing what we have learnt about the brain, memory and growth mindset. Click on the video below to listen to our songs. We have learnt the difference between our working memory and long term memory. We decided that by 'chunking' the information was a simple but effective strategy to use. For example if you have a list of letters by chunking the letters makes it easier to remember, especially if you recognise - DNALOLBBCRAMCNNFYI = DNA LOL BBC RAM CNN FYI. Or for numbers - look for patterns or associations within each chunk. 3361986010. So 336 makes sense because 3+3=6. 1986 is a date and 010 is nicely balanced. Click on the links below to test your memory. We followed a recipe to make carrot and coriander soup. We peeled, chopped and blended the ingredients to make a delicious soup with no help! 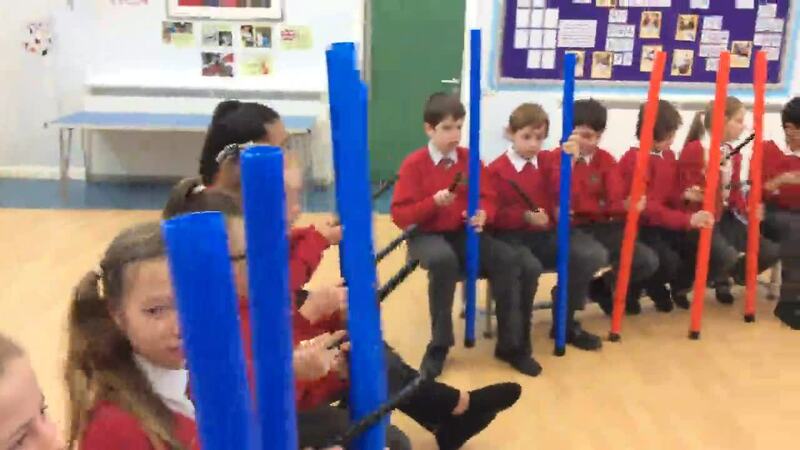 On Tuesday, we had a great time exploring rhythm and creating music. If you lived in a harsh environment, for example, in the driest desert or on Earth, your body and behaviour would need to adapt in order to survive. So a cactus in the desert adapts by growing a thick stem to store water. But how would you survive if you were a small ﬁsh in the deepest, darkest ocean? As an introduction to Year 6 we are exploring a Brainwave topic where we are learning about how the brain works and memory. Here the children are teaching a skill to another child. It ranged from teaching origami flowers, performing a handstand, using computer language to taekwondo and much much more.